As the Karnataka Assembly met for the floor test today (May 19), a visibly shaken BS Yeddyurappa stood up and gave an emotional speech reminiscing his days as a Jan Sangh MLA and attacking the Congress-JDS combine for ganging up against BJP after the election. Though Yeddyurappa’s speech might have been the farewell speech of a vanquished man who knows his time as Karnataka BJP’s numero uno is finally up, it was also a last-ditch attempt at gaining some moral high ground after trying virtually everything to emerge victorious. Alas, there was none to be gained. In fact, this whole episode played out in the aftermath of Karnataka Assembly elections would go down in India’s political history as one of the most brazen attempts at stealing the mandate. Although some people might have an issue with post-poll alliances and how the Congress and JDS came together to prevent the BJP from coming to power, it is not unheard of in Indian politics to have such post-poll alliances; especially in the first-past-the-post Westminster system with multiple parties contesting against each other. What is truly alarming is that despite falling eight short of a simple majority and the Congress-JDS combine clearly commanding the numbers, BJP did not back off from attempting to form a government. In what came across as a blatant pursuit of power, BJP pulled all stops to try and somehow get enough defectors following the model employed in 2008-now infamously referred to as "Operation Kamal". It seems BJP’s leaders have lately come to believe that they can get away with anything after similarly managing to outwit Congress in the aftermath of successive state elections. Having wheeler-dealers in key party positions and sitting on a bottomless pit of fortune with media houses acting as propaganda agents, it didn’t entirely come as a shock to hear a general secretary replying with “we have Amit Shah” to a question on how they intended to form the government in the event of falling short. For a change, Congress was ready for all eventualities on this occasion and quickly took the call to back the JDS post-poll catching the BJP by surprise. It is a move that has huge ramifications for general elections in the context of opposition unity even if the immediate aim is to keep the BJP from marching into the south. Congress’ Karnataka strongman DK Shivakumar, who was instrumental in ensuring the Congress legislators didn’t defect and ensured their presence in the Assembly, deserves special mention. DK Shivakumar is a self-made man, (much like a Himanta Biswas Sarma in Assam) who was recently passed up for the post of Pradesh Congress Chief owing to his controversial image as a strongman. 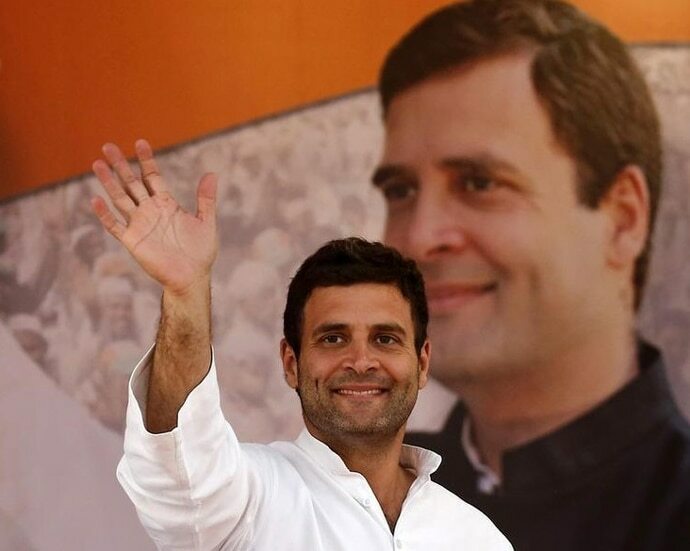 Rahul Gandhi’s zen-like attitude and philosophical approach to successive losses might accrue “moral victories” but politics is a game of chess and when you are up against a marauding opponent like the Modi-fied BJP, you need such people in your ranks to hold off and foil attempts of poaching. Prime Minister Narendra Modi’s grandstanding will come under a severe cloud with this episode that played out in full public view. Whatever spin is sought to be given to this episode by propaganda channels, people would make up their minds based on what unfolded in front of them. The four tapes released by Congress which had top BJP leaders allegedly trying to bribe and induce opposition MLAs – involving G Janardhan Reddy, Muralidhar Rao, BS Vijayendra, Sriramulu and Yeddyurappa himself – would cause a political earthquake later if it’s proved to be authentic. Rhetoric like “na khaoonga na khane doonga” would come across as hollow when it’s repeated again this winter. 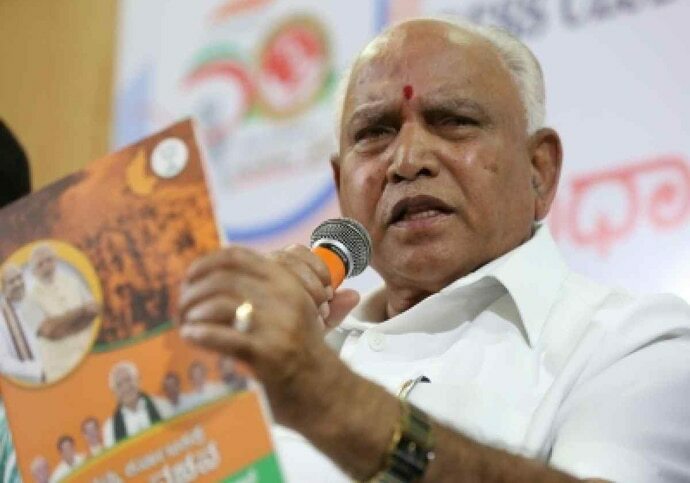 In fact, BJP had already let go of their anti-corruption plank for political expediency in Karnataka when they chose a scam-tainted Yeddyurappa as their chief ministerial candidate and afforded eight tickets to Reddy brothers and their associates. As for the Congress, this comes as much-needed relief ahead of the general elections as BJP was attaining an air of invincibility. At the 84th Congress plenary in March, Rahul Gandhi likened the BJP to the Kauravas in Mahabharatha in the contest of their lust for power. If Congress fancies itself as the Pandavas or the underdogs, they should recall how Pandavas got the better of Kauravas in Mahabharatha. Suffice to say, it wasn’t straightforward. When faced with an opponent who could go to any extent to win, it is ultimately a game of survival and one hopes Congress will be all the more wiser for this experience.